I'm always getting told off by the misses for using up expensive shampoo (an argument I can imagine that happens in many households) so she recently bought home this shampoo bar for me to use instead of her £15 a bottle stuff. The Shine Bar has been created by hairdresser and owner of Shine hairdressers in Brighton, Jonathan Harries, who wanted to create something simple, unique and environmentally friendly. It's designed for daily use on short hair, so is ideal for men who still want to use high quality products at home without getting an earful. With normal bottles of shampoo, it's easy to waste product that you can't get out of the bottom of the bottle and the plastic bottles often end up in landfill, but the Shine Bar has zero waste. The bar dissolves down like a bar of soap so there's no product waste, and the packaging it comes in is biodegradable.You just need to make sure you pat it dry and store it out of the shower, so that it doesn't disintegrate. It's also made up the road in Lewes which is good, I'm always in favour of locally made products. 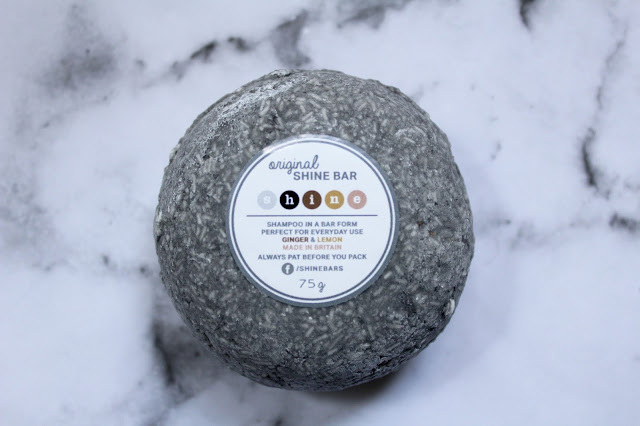 The Shine Bar is made with quinoa which, although I don't like to eat it, is good for conditioning the hair and also treating dandruff. 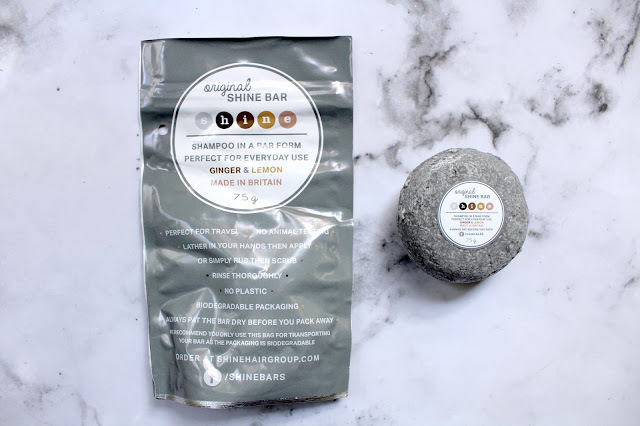 With a few quick rubs on my head, the Shine Bar lathers up into a thick mousse with it's lemon and ginger scent, which leaves my hair feeling clean and fresh. Another thing I liked about the shine bar is that is does feel like an actual shampoo wash, I've tried some natural products before that just don't have the same effect. The bar is ideal for the gym bag and travel, as it's small compact and isn't a liquid. All in all it's not a bad little thing to have. I'd say it works very well for short hair, if your hair is longer, you probably need to foam it up a bit more, but I'm confident it would work well too. Either way it's definitely worth checking out. You can get your very own Shine Bar here.